OK, not really, because we thought what would give you more entertainment than just some pretty explosions and the Nvidia Physix controlled blocks falling to the ground. 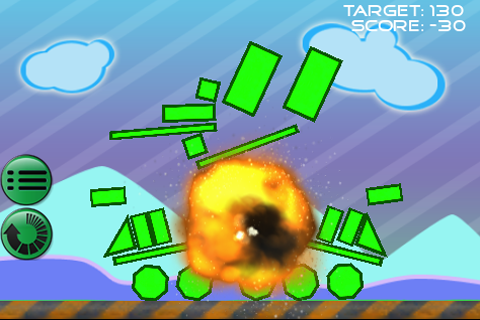 Well, for a start we’ve added Red Blocks which reduce you score, Grey blocks which can act as shields to prevent you being able to blast the green shapes and craftily placed TNT boxes which of your not careful will blow everything touching it sky high. On the plus side you can collect bonus points by guiding the blue blocks to the ground. With 60 levels of mind bending puzzles, with more added each month. 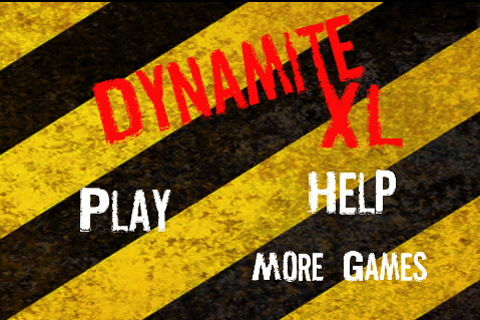 Dynamite XL will test your skills to the limit.